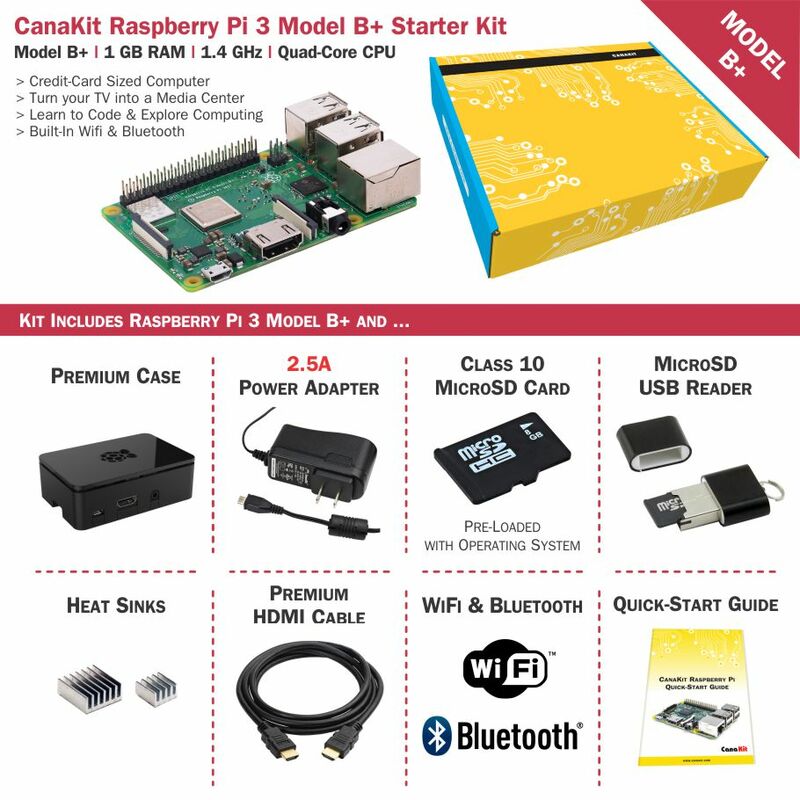 An exclusive Starter Kit from CanaKit that includes the fastest model of the Raspberry Pi family - The Raspberry Pi 3 Model B+ (B plus) and everything you need to get up and running within minutes in the exciting world of Raspberry Pi! 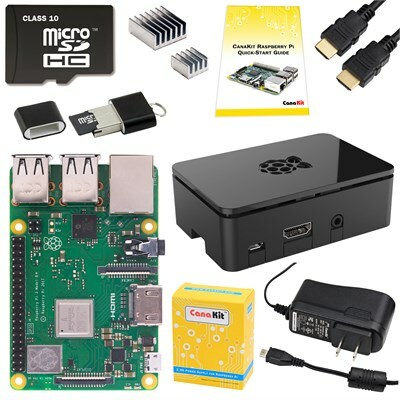 Also included in this Raspberry Pi 3 Starter Kit is a premium Raspberry Pi 3 case as well as a high performance Class 10 MicroSD Card pre-loaded with NOOBS. Just Plug and Play! The CanaKit 2.5A Micro USB power supply (UL Listed) is specially designed and tested for the Raspberry Pi 3 B+. This power supply incorporates a noise filter to provide the highest stability.